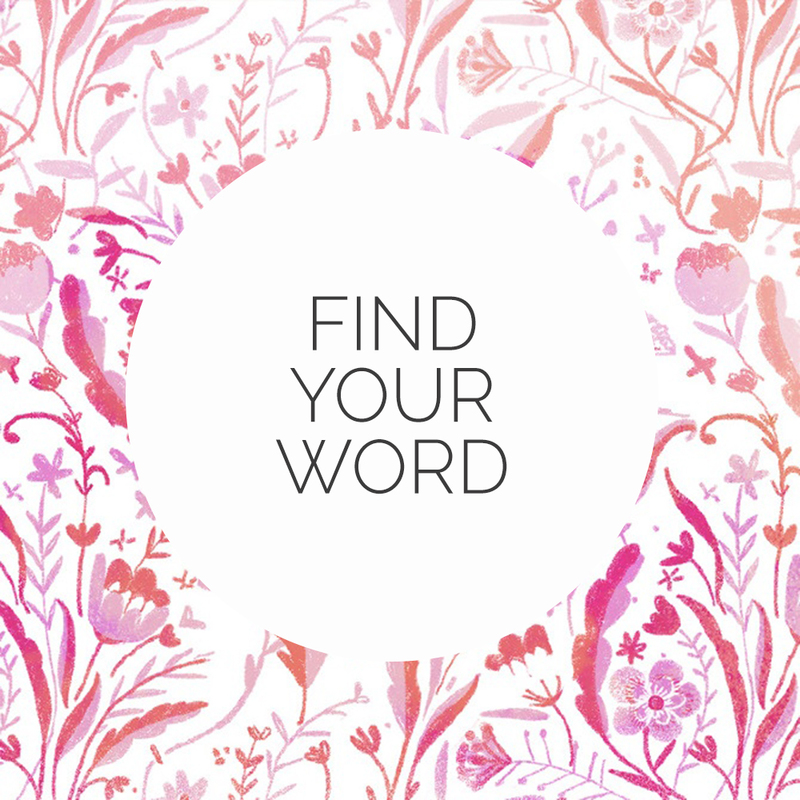 Find Your Word For 2015! For years, I've been using this exersize of choosing a word for my year. And if doing so has taught me anything, it's that focusing your intetions into just 1 word (or phrase, or mantra... but especially just 1 single word) is powerful! I still make resulutions (sometimes) but I love to focus my mind, soul, and energy into a single word so that all my thoughts and intentions pass through its filter. There's not magic to finding your word. Usually mine just come to me in a flood of light and color in my mind as I start to wrap up one year in my head and open up my heart to the one upcoming. Usually a few words float around my thoughts, then synonyms, and then one word just feels right. In 2009 my word was VISIBLE. Which was perfect for the evolution of my blossoming photography business. In 2010 my word was UP (or "RISE") and I envisioned all the aspects of my life floating up and up and up. A few rough years of stormy seas uprooted my system and I didn't start to get back on track till I noticed I'd been living the word CALM in 2013 without even realizing it. Last year I never picked a word. Looking back, I'd say it was probably BRAVE because I forced myself to be so that I could step into a new direction of my life. At first I resisted POSSIBILITY. It seemed to simple. Too "on the nose". I like words. I wanted a word with more mystery. More poetry. But POSSIBILITY kept coming back to me. I found lots of supporting words that I also loved while reading about POSSIBILITY. Words like PROMISE, POTENTIAL, DEVELOP, BECOME. To me, 2015 holds the potential and possibility of so much change in our life all for the better. And I feel like all that's asked of me is to rise to the occasion and become the best version of myself that I can in the upcoming year. All of these words, these colors, these ideas of rising and developing, and unlimited potential. It all just feels right. I want to tap into my latent ability, my promise, my capacity, my potential. I want to develop and become and help others do the same. I want a year of "if there's a will, there's a way" and daylight breaking on the past few years of struggle. I want the dawn of a new chapter, full of light and the potential and possibility for anything to happen. The POSSIBILITY is limitless, and so am I. 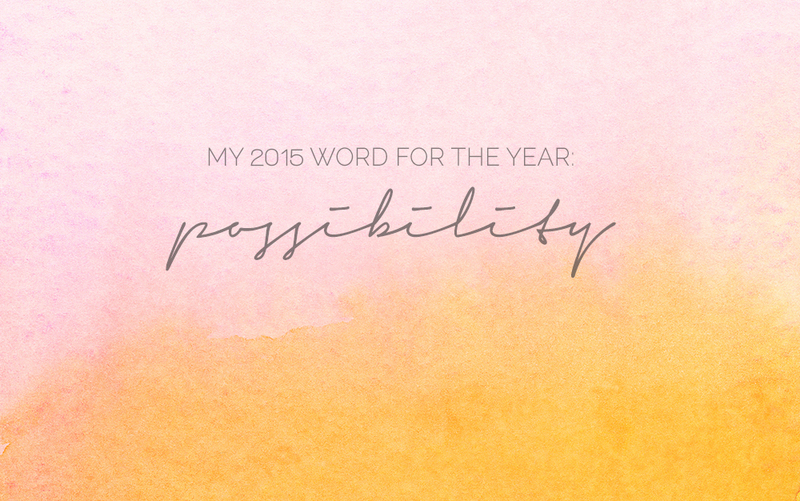 What are your words (or word) for 2015? I'd love to know! And if you need more help figuring it out, I made this quick video explaining more about how I discover my word (and my colors) for the year and what I do with them after! Enjoy. Still need more help? One of my favorite bloggers, Susannah Conway, has put together a FREE 5 day email class to help you figure out your word. Register soon, it starts Monday!